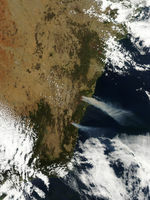 According to news reports, more than 70 bushfires were burning across New South Wales, Australia, as of January 10, 2003. Another 20 large fires were burning to the south in Victoria. 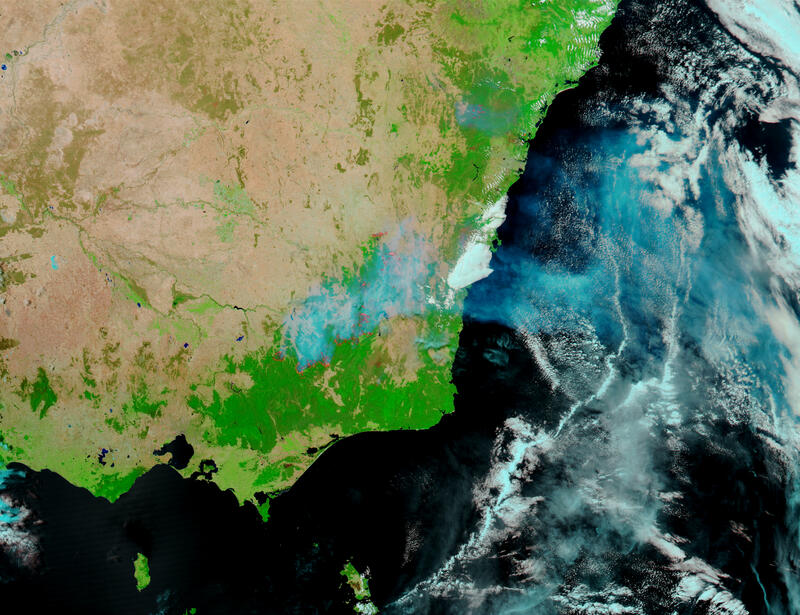 These true- and false-color Moderate Resolution Imaging Spectroradiometer (MODIS) images from the Terra and Aqua satellites show the fires marked with red. 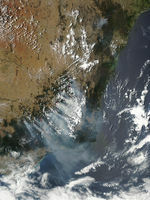 Initially, the heaviest concentration of fires was located in the Great Dividing Range Mountains in Kosciuszko National Park in southern New South Wales. Over subsequent weeks, the fires became most severe in northeast Victoria, to the south. Gusty winds and high temperatures hampered containment efforts, and the smoke created a significant health hazard. Fires continued rage for weeks, burning hundreds of homes, destroying farms and livestock, and spreading smoke out across the ocean for thousands of kilometers. On Jan. 21, the smoke had reached eastward beyond New Zealand. 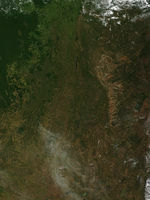 In the false-color images, vegetation is bright green, burned area is reddish brown, clouds are white or robins-egg blue, while smoke is deeper blue. South Eastern Europe Map 1861 A.D.